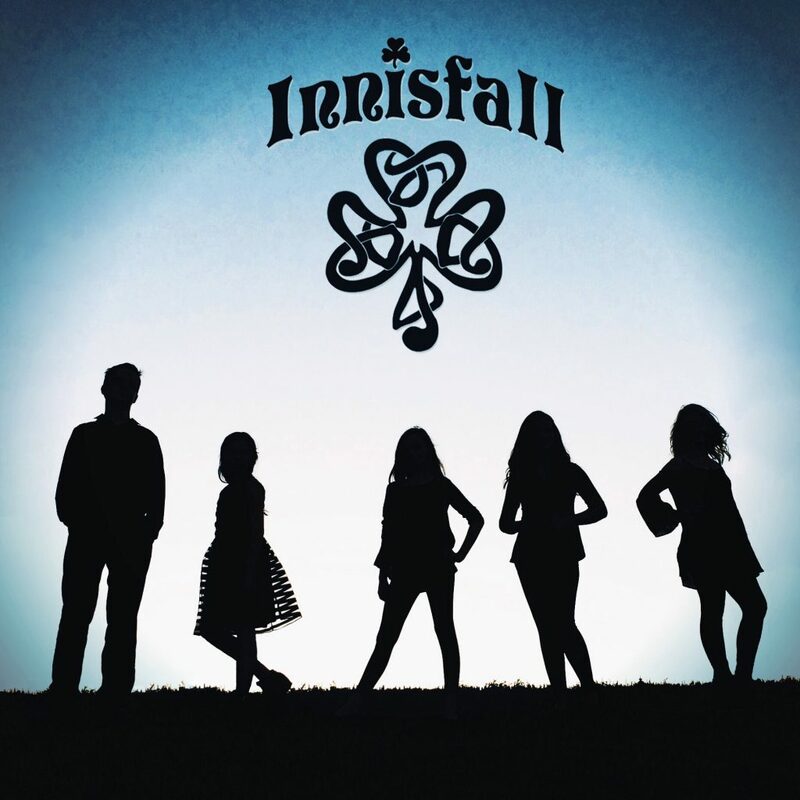 The self-titled CD from the Irish folk band Innisfall is an exciting new project featuring some of the best up and coming young Celtic music talent out of Texas. The CD was produced and arranged under the direction of Randy Copus who has charted over 11 albums in the top 10 of Billboard, and whose original works had over 80 million plays on Pandora this past year. The band also had considerable assistance from many distinguished Irish recording artists. Arrangements were made by fiddler and TG4 Irish Musician of the Year, James Kelly on the Irish air, The Coolin. Anúna singer Karen Ballew helped with many of the vocal arrangements. Original compositions by the group were also mentored by singer Ashley Davis, and fiddler Liz Knowles. The musicians in Innisfall are Clio Cadence on vocals and guitar/ukulele, Sarah Copus on vocals and harp, Ireland Harber on vocals and whistle, Grace Kennedy on vocals and flute, and Nathan Kennedy on fiddle. They have played together now on over 110 performances in the last two years in a variety of live venues with audiences from 50 to 5000. The band has been featured in many regional US festivals like the North Texas Irish Festival, Texas Scottish Festival & Highland Games, Kimbellfest Scotland, and has played pre-show and opening act performances with the likes of Téada and their Irish Christmas in America show, Irish Tenors, Celtic Woman, and Celtic Thunder’s Emmet Cahill. Individually, the artists in the band have had many impressive accomplishments. 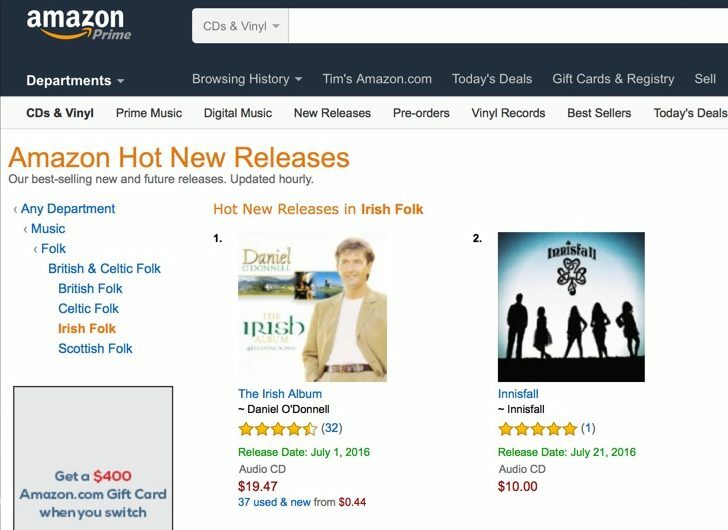 One of the singers has charted two CDs on the Billboard Charts featuring songs in the Irish language and won an international vocal album of the year award. Another is the first youth fiddler from Texas to compete at the Fleadh Cheoil na hÉireann, and who was the leader of a string ensemble that won an international competition at the Midwest Clinic (the worlds largest instrumental music conference) featuring competitors from over 30 countries. 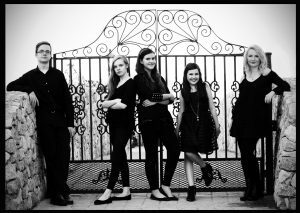 Another has won one of the most prestigious youth battle of the band competitions in the southern US. What is even more impressive is that they are all under the age of 16. Texas has been a hotbed of traditional Irish Music for sometime now, and through careful support and mentorship over the past 30 years from organizations like the North Texas Irish Festival, O’Flaherty Irish Music Retreat, North Texas School of Irish Music and many others, is starting to see some of their homegrown talent be recognized on the national and even international stage. Innisfall is the latest example of that. The music on this CD is a blend of lush Clannad like harmonies with pristine instrumentals and angelic voices. 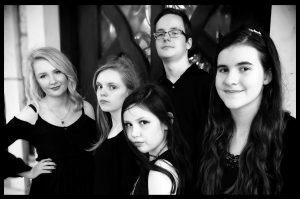 The band’s rendition of Loreena McKennitt’s All Souls Night is a melodic delight. And the traditional I Know My Love has a sweet-sounding dance beat with 5 layers of harmonies. The band also included three original compositions with an American folk flare. Two were original songs by the band, and the third was a poem called Song of Innisfail written by Irish poet Thomas Moore in the early 1800s and put to music. The CD is a delight to listen to. The rich vocal harmonies and ethereal arrangements combined with wholesome, innocent voices help transport the listener to a wonderful vista of Ireland from many years past, with some wonderful color from the amazing folk music influences so prominent in America’s south. The CD is available on iTunes, and Amazon.